Flourish — HELPING FAMILIES FLOURISH. There’s never been a better time to check out church. At 10, it’s tracks and treehouses. At 20, it’s work ethic and a resume. At 30, it’s our families and the future. Whether born into privilege or poverty; the city, the suburbs, or somewhere in between; we’re all wired to rise and build. Nehemiah is the true story of one man’s passionate pursuit of a better future for those he loved. What if God could use YOU to build something bigger and better than you ever thought possible? 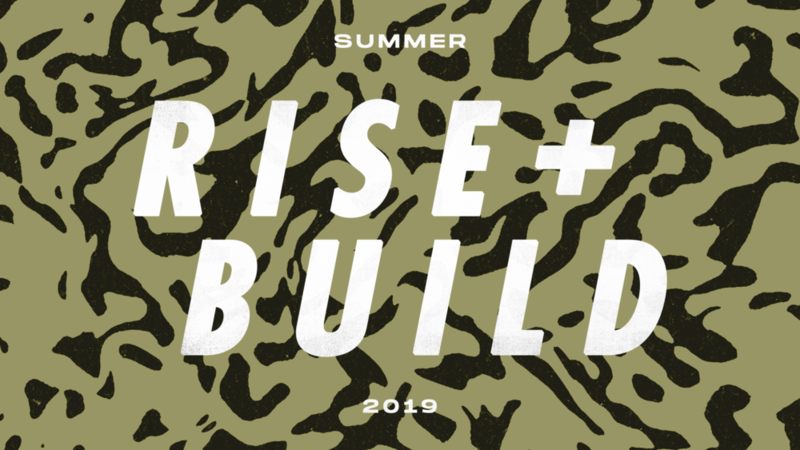 Join us Sunday, April 28 for the start of our summer study: RISE + BUILD. Come check out Church this weekend! Each weekend we offer GroveKids for children ages 6-weeks to 5 years old. Every member of our team undergoes an extensive background check and is equipped to help your child learn lessons from God’s Word in a fun, age-appropriate way. Our gatherings typically last around one hour and fifteen minutes and include times of singing, preaching, and prayer. We recommend arriving 10-15 minutes early so you can grab a cup of coffee and seat before the gathering begins. Save the date for these upcoming opportunities. FamilyGroups are mixed-gender groups of 15-30 people that meet in homes all across our community. Miss church last week? No worries! Whether you were serving, out sick, or on vacation, now…you never have to miss a minute. Looking for resources from our previous series?